Jessica Hersh has been cooking, teaching about cooking, serving meals, thinking up new recipes, writing about food, dreaming about meals, and generally immersing herself in the world of food for many years. She’s written restaurant reviews, taught classes about pickling, baked with small children, worked in restaurants, catered for 2-250 people, supervised kitchens, and eaten thousands of meals (many of which she remembers.) 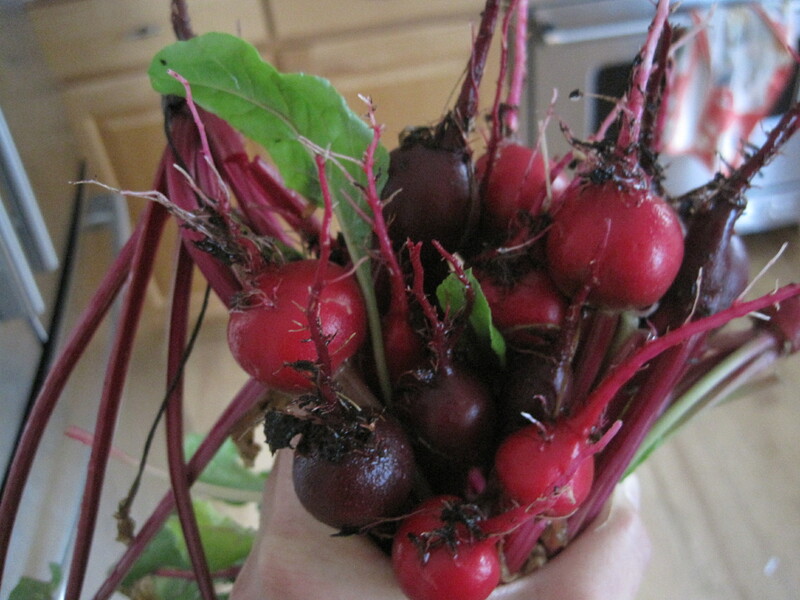 And this year she grew these beets, which were delicious. Contact her for personal chef services; catering; cooking demos, classes, or parties in the Boulder area. Thank you thank you thank you for the wonderful dishes you prepared for our Seder. I was sooo happy with everything. It truly made our family’s seder a success and — without me being exhausted or totally stressed by the time it began! Thank you so much, Jessica! What a great job you did! And we will definitely keep you in mind for future events.